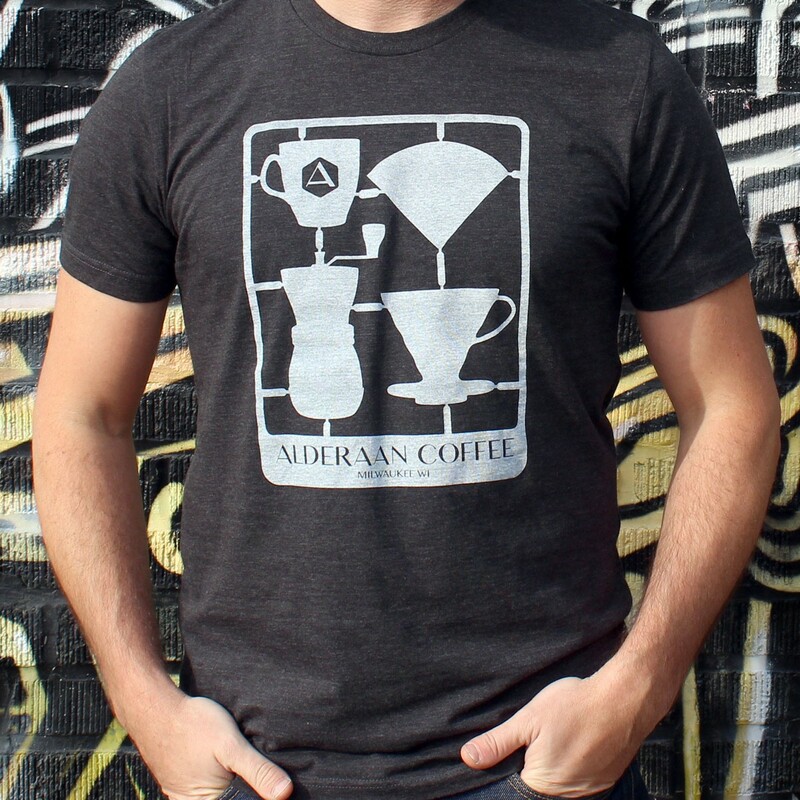 Designed by Daniel Neumann for the opening of Alderaan Coffee. This shirt design become popular so we have reprinted the shirt and put it up for sale. These shirts are fitted so if you like your T’s on the loose side order one size up. 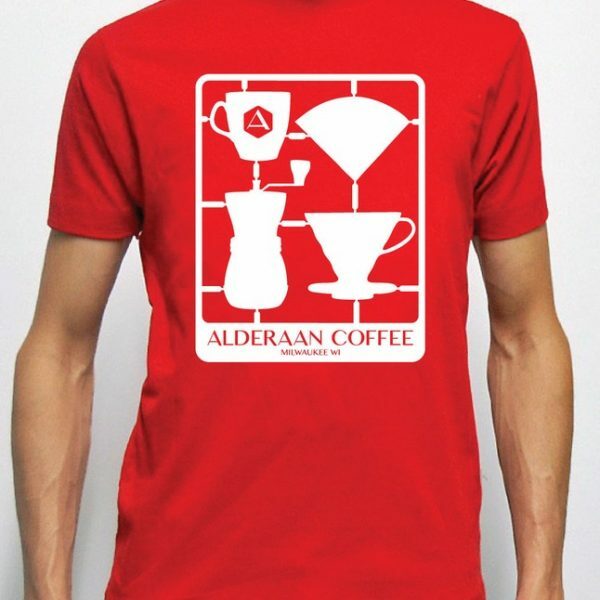 The red and black shirts are 100%ring-spun cotton while the Heather Grey and Heather Blue shirts are 52% combed and ring-spun cotton/48% polyester.